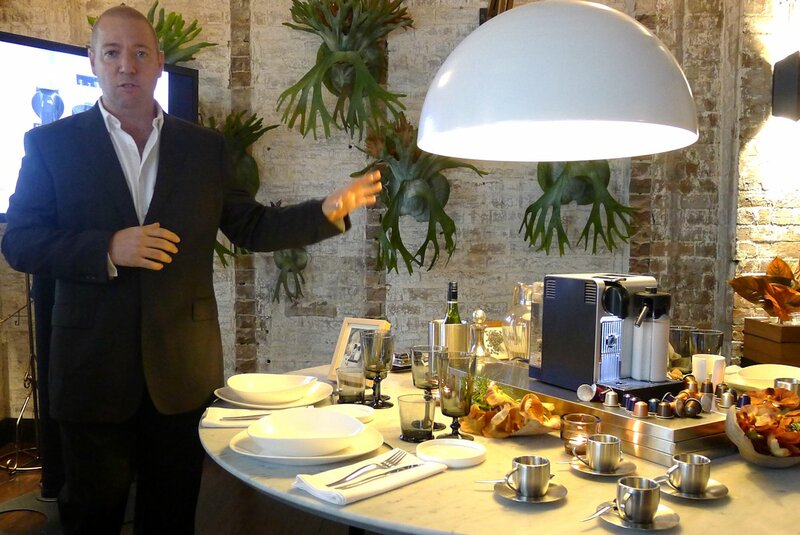 This week I was invited to attend De’Longhi’s launch of their new range of kitchen appliances, namely the Scultura lineup as well as two automatic coffee machines. Riley Street Garage played host to the elegant and well-presented event where each product was demonstrated. Thankfully, this meant lots of coffees needed to be tasted! 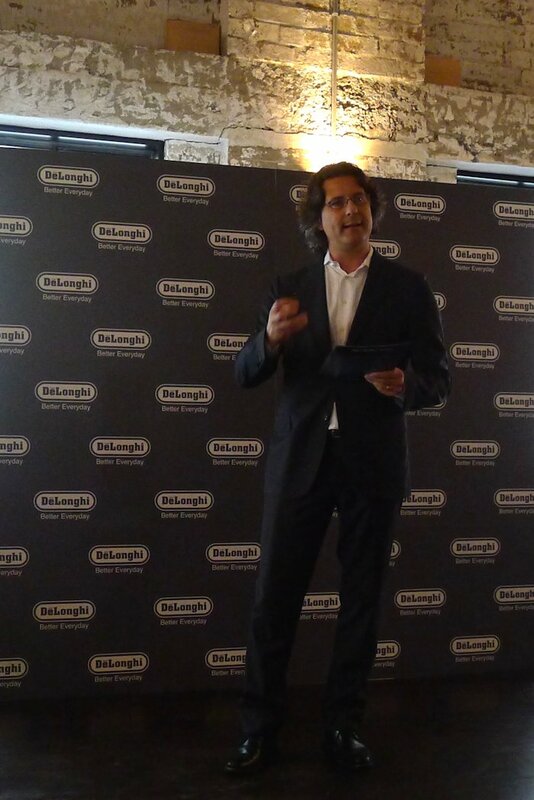 Paolo Albertoni, CEO of De’Longhi Australia spoke passionately about the evolution of their product design and the retro, industrial inspired look of the Sultura products. In collaboration with Nespresso, some of the products are also compatible with the Nespresso capsules which offers convenience as well as great flavours. 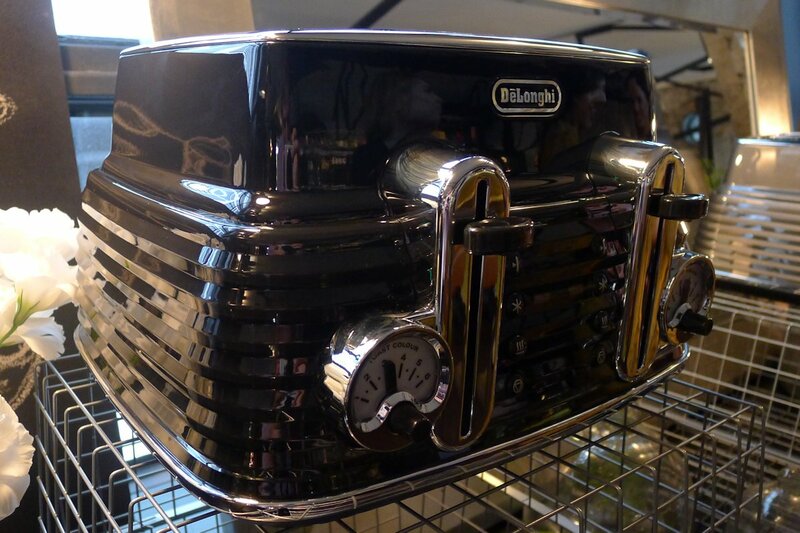 The Scultura lineup of 2 slice toaster, 4 slice toaster, kettle and pump coffee machine are each available in Bronze Beige, Steel Grey, Zinc White and Carbon Black. The Pump Espresso is interesting in that it offers the conventional manual coffee making functions (as opposed to the automatic machines I’ll mention later) with the option of being compatible with Nespresso Easy Serving Espresso (ESE) pods. Throw in a cup warmer, milk frother, self primer, eco friendly auto-off function into a stylish package and you may just have a new friend to wake up to every morning. 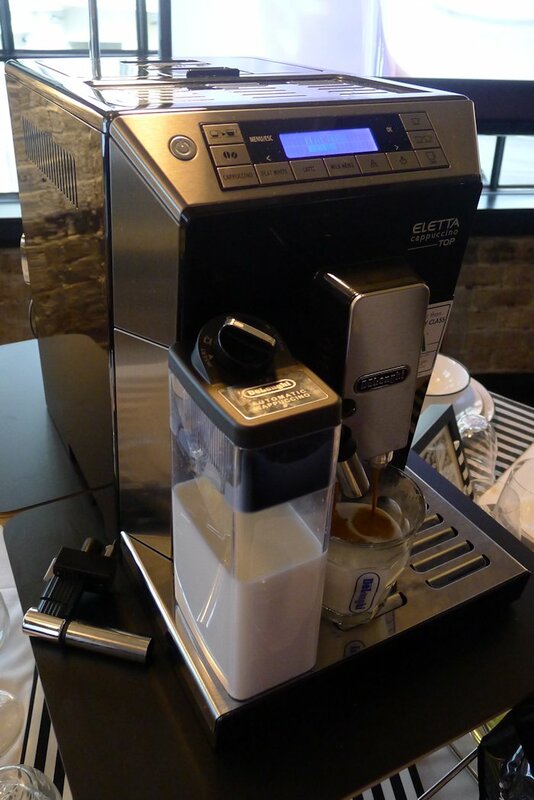 Heading into automatic territory, I was offered a demonstration of the Eletta Fully Automatic Coffee Machine. If you want it, this machine will most likely prepare it! Let’s start at the beginning with a 13 setting bean grinder, easy to read control panel with two lines of text, cleaning prompt (and the nerd in me loved the progress bar during the clean! ), completely customisable milk frothing and strength settings including MY MILK and MY COFFEE so that you don’t have to program the settings each time, adjustable cup height and programmable switch on time. You get the picture… everything is adjustable and customisable meaning that the Eletta makes it a cinch to get your cup just the way you like it every time. 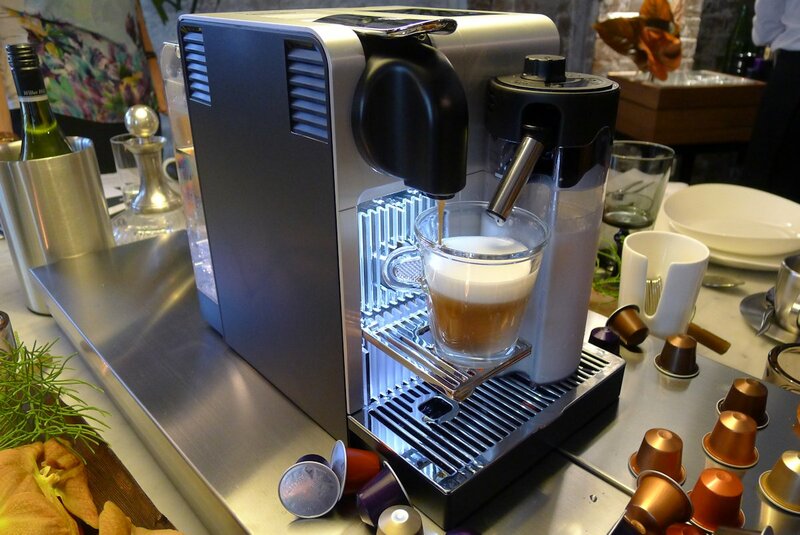 If you like your coffee brewer to be on the bleeding edge of technology, you will only be satisfied by the Nespresso Lattissima Pro. I was offered the opportunity to try the device and can say that the LCD touchscreen not only makes it easy to use but also guides you through each step of making whatever type of coffee you’re after. I dropped in the capsule, tapped a few commands (or a single command if you want to use the defaults) and watched the process. Unbelievably quiet, it’s 25 seconds for a cup or 40 seconds if you include milk. 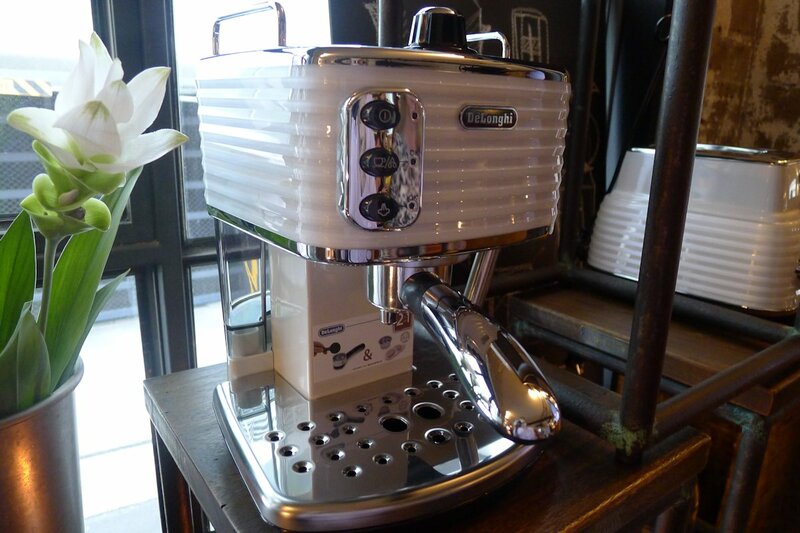 Ristretto, espresso or long, flat white, cappuccino, macchiato, they’re all easily possible and much like the Eletta, it’s all customisable. I’m also sure you’re all wondering what the cups tasted like and for someone who had never tried Nespresso before, I enjoyed what I tried. Browsing through the website, I can see that I only tried two blends out of a myriad of 22 flavours so there’s plenty of variety. 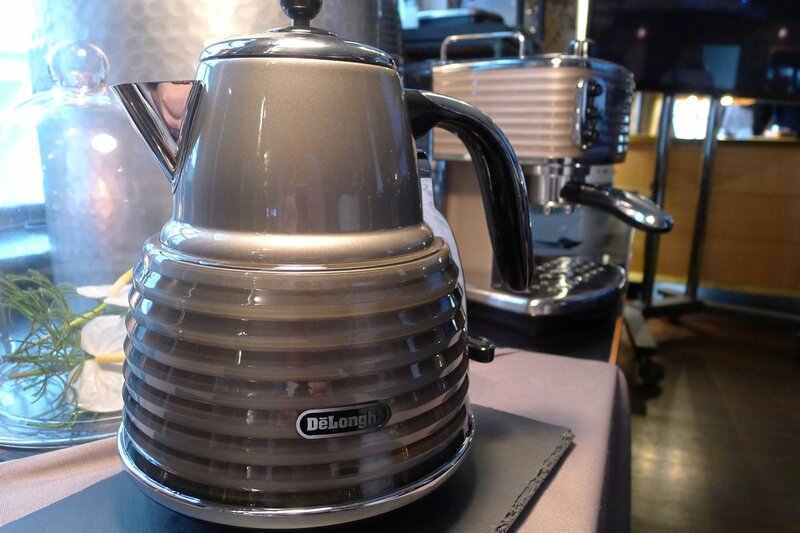 A big thank you from Sydney on Sunday to De’Longhi for the invitation and opportunity to attend and to Riley Street Garage for the refreshments and delicious canapés.